Whenever someone wants to see the house in Winthrop where Barbara and Patricia Harrison live, the sisters go from room to room, hiding evidence of modern life: lamps, telephones, television. They never know exactly when tourists may want to see the Deane Winthrop House, which has been continuously occupied since it was built in 1637. They prefer at least 24 hours notice. Harrison and her sister keep the house clean, conduct tours, and host monthly dinner meetings. The house’s artifacts require much care, Harrison said. The Deane Winthrop House is maintained by caretakers. The Harrisons were asked if they would be interested in moving into the house built more than 300 years ago when the previous caretaker left. It is an arrangement played out in historic houses across the state, one that can benefit both caretakers, who pay little or no rent, and groups that own historic houses, but have little money to pay for upkeep. 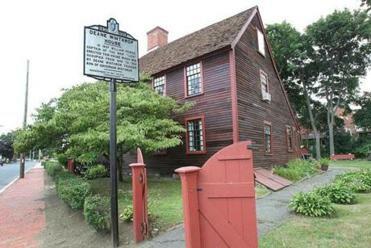 Historic New England used to arrange for caretakers to live at 24 of the group’s properties, including the Lyman Estate in Waltham and the Otis House in Boston. But in recent years, the group decided to hire people for the upkeep the caretakers had performed, such as mowing the lawn and shoveling snow. Now the group rents apartments in the historic homes at close to market value, and renters are generally not expected to do much more than watch over the property and respond to overnight alarms. Caretakers cannot change the homes to fit them; they must adapt to the home, and hide electronics like computers and cell phones when tours come through. 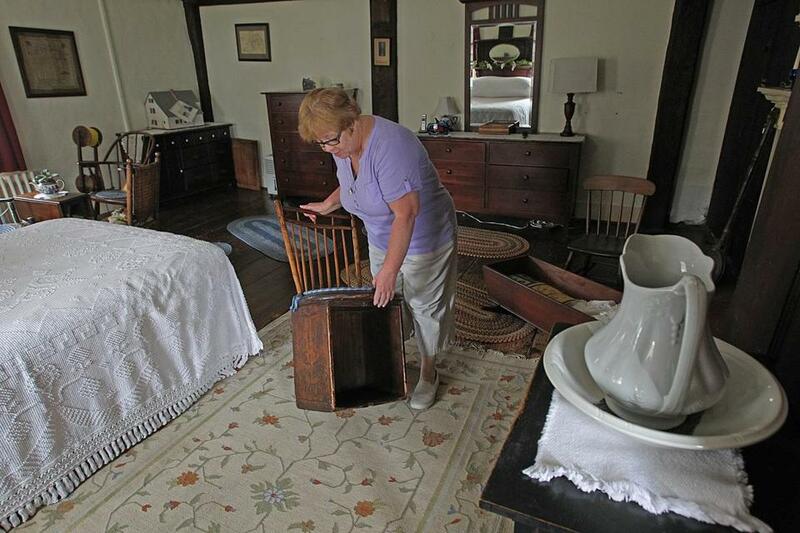 But in other historic houses, the caretaker tradition prevails. When the Harrisons first moved into the Deane Winthrop House, Barbara remembers being filled with questions about the house and its previous occupants. She looked at the rotisserie in the fireplace and wondered how long it took to cook a chicken. She wondered about how Deane Winthrop, son of the Massachusetts Bay Colony’s first governor, John Winthrop, survived the deaths of four of his nine children. On his way to the kitchen in Milton’s Suffolk Resolves House every morning, Steve Kluskens walks past a letter from Thomas Hutchinson, a Colonial-era governor of Massachusetts. Later, he types on his Apple laptop on a 200-year-old table, near an 1823 Springfield musket propped up against a wall. The house’s live-in caretakers, Kluskens and his wife, Sheila Frazier, eat at a table beside a display of delicate dishes that were ordered from China in 1775. The house also holds a 1641 Bible written in classical Greek, an Jacobean oak chest more than 300 years old, and assorted dour portraits of prominent Milton residents, now deceased. Kluskens and Frazier, like other caretakers in historic houses, cannot change the house to fit their lives. They do not remodel or paint or add media rooms. They must adapt themselves to fit in the house. Kluskens and Frazier pay a small monthly rent to live at the house, famous because the Suffolk Resolves, a forerunner of the Declaration of Independence, were believed to have been signed there in 1774. Paul Revere then carried the document by horseback to the First Continental Congress in Philadelphia. Kluskens and Frazier, who had previously been caretakers in another historic house in Milton, moved into the Suffolk Reserves property almost two years ago. One of their tasks: making sure the detritus of their modern life doesn’t overrun the historic collection. 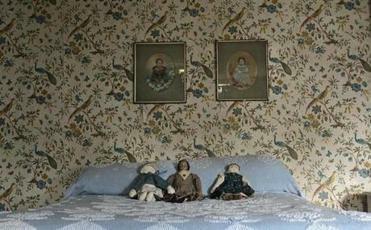 Their bedroom and the room where Kluskens works are usually not part of tours they conduct. But on other days, a few hints of modern life appear. The parlor holds both a pianoforte built by Alpheus Babcock in 1826 and a scratching post for their cat, Calli. In Brookline, Elln Hagney and her daughter, Thomasa, live in the Widow Harris House, built between 1772 and 1796 in what is now Larz Anderson Park. They are technically not supposed to have pets, but when Hagney and her daughter discovered mice after they moved in six years ago, the town allowed them one “mouse catcher” — a cat. Hagney and her daughter try to keep the house as true to its time as possible. They do not own a microwave or a giant television. The house does have a modern bathroom and a kitchen with a stove, refrigerator, and sink. Even in the garden, they try to pay homage to the era of the house, which sits on town property and is managed by the Brookline Historical Society — no palm trees or yucca plants. On July 4, Hagney often invites friends over and gives them a history lesson at the top of a nearby hill. The house is not open to the public but Hagney gives tours of the nearby Putterham School, built in 1768 and later moved to the park.